Cold weather makes me get in the holiday spirit. And part of that is also getting to drink hot chocolate when the weather turns cold. 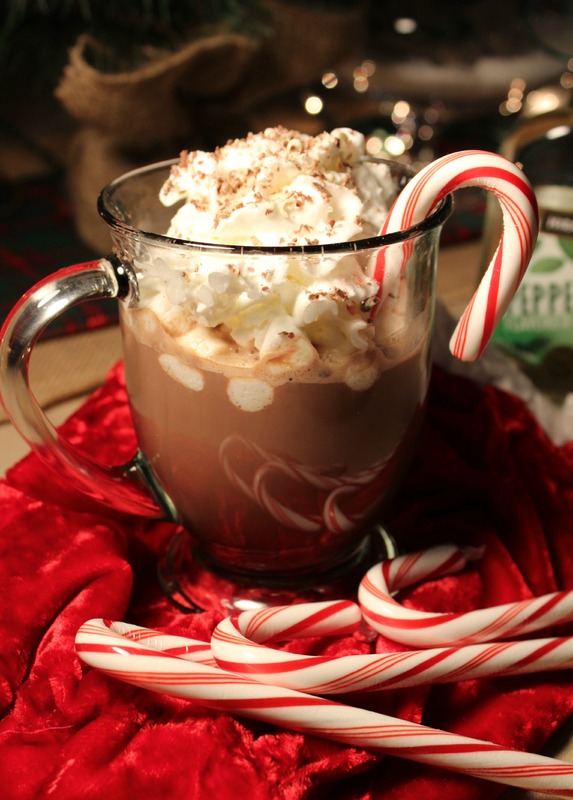 Sitting down and wrapping presents, watching Christmas movies and sipping on some peppermint hot chocolate is the perfect weekend afternoon or evening for me. Last year I had some hot chocolate with peppermint schnapps thrown in at one of my favorite restaurants. Oh it was delicious. And I’ve been waiting to have it again ever since. This warm cup of happiness does not disappoint. 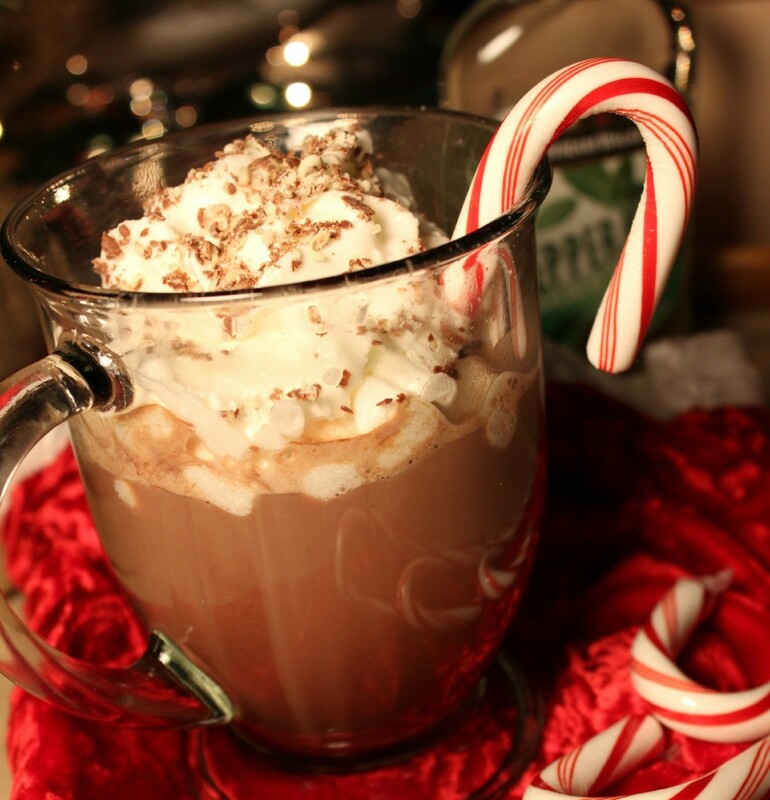 If you don’t want to add the liquor, drop in some peppermint extract or some peppermint chocolate chips. In a coffee mug, add hot cocoa and sugar. Heat milk in a microwave safe bowl for two minutes. Add a little bit of milk to the cocoa mixture and mix together. Once mixed add the remaining milk. Add Peppermint Schnapps. Taste and add more if you want a richer taste of peppermint. Top with mini marshmallows and whipped topping. Grate some chocolate on top. Use a peppermint stick to stir.